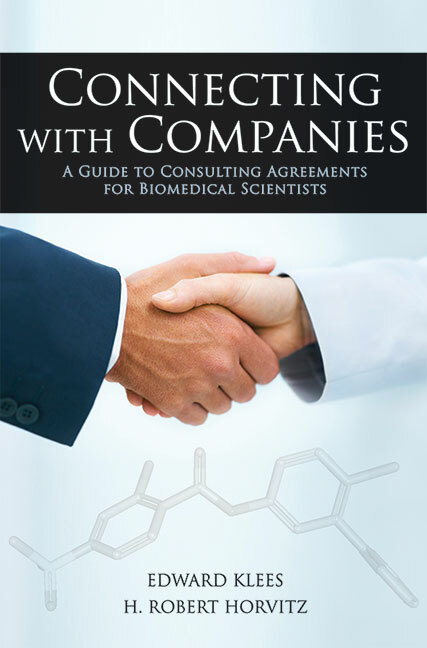 NEW YORK - April 9, 2014 - Cold Spring Harbor Laboratory Press is pleased to announce the publication of Connecting with Companies: A Guide to Consulting Agreements for Biomedical Scientists by Edward Klees, J.D. and H. Robert Horvitz, Ph.D. The book is an essential resource for academic scientists and physicians considering consulting work in biomedicine. The authors, a seasoned attorney and a Nobel Prize-winning scientist, have extensive experience in reviewing and negotiating consulting agreements. In an accessible style, they guide scientists through key contractual issues, including intellectual property management, confidentiality, fees, indemnity, and stock options and classes, as well as the laws such agreements must satisfy.